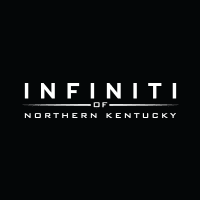 The payment calculator from INFINITI of Northern Kentucky helps you estimate your vehicle loan rate or monthly auto payments when you find your next vehicle in Cincinnati, OH. Use the auto payment estimator to determine what your purchase price will look like for a INFINITI QX80, QX50, or another one of our upcoming models. The calculator is simple and easy-to-use, so you’ll learn what your vehicle payment may look like when you come down to Fort Wright to find your next vehicle. Manufacturer’s Suggested Retail Price. Excludes options; taxes; title; registration; delivery, processing and handling fee; dealer charges. Dealer sets actual selling price. While great effort is made to ensure the accuracy of the information on this site, errors do occur so please verify information with a customer service rep. This is easily done by calling us at (859) 320-1000 or by visiting us at the dealership. **Lease payments calculated based off of a 39 month lease with 10,000 miles per year, 10% of the MSRP is down payment. No security deposit required, with approved credit. Extra charges may apply at lease termination. Plus first month’s payment, $700 Acquisition fee, $599 dealer fee, tax, $78 transfer tag and state fees with approved credit through INFINITI Financial Services. See dealer for complete details. Expires at month end. Still Wondering About Your Car Loan Estimate? Has the estimated auto loan interest or lease payments for your new vehicle left you with some questions? Luckily, our finance team is here to help. We’re available to break down your estimated payment and explain more on what financing or leasing your next vehicle will look like. Feel free to contact us today for assistance, or to get started with your car-buying journey.